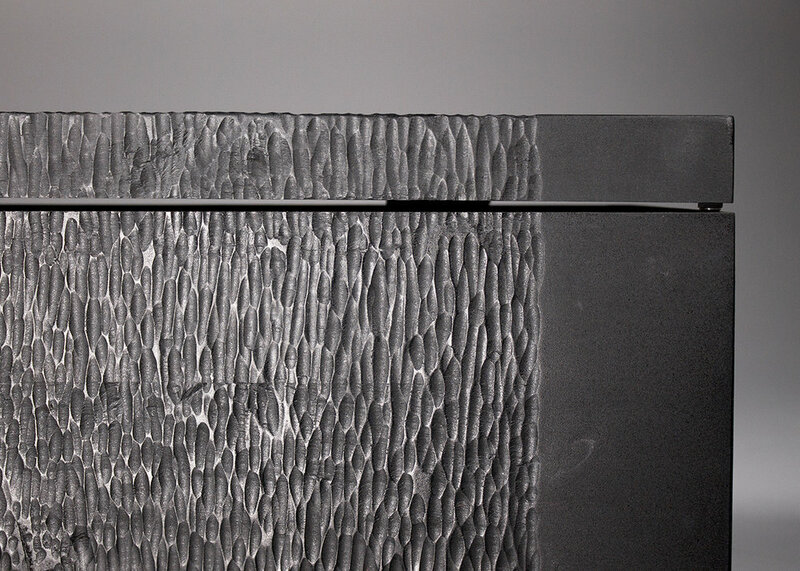 Onyx is hand carved to create a beautiful texture that waterfalls around that the case. 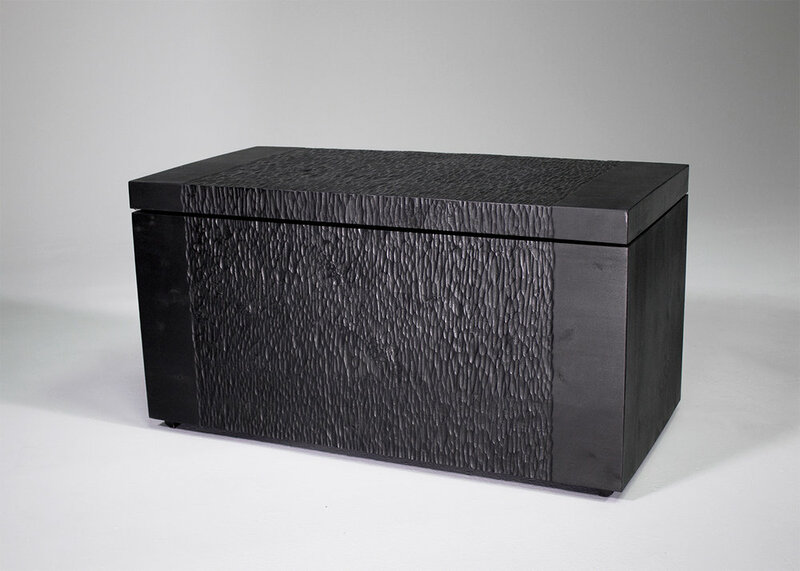 The carved pattern is combined with a stark ebonized surface that further accentuates the texture. The interior of the case is left unfinished, so the cedar remains aromatic. Please contact for current lead time.